The Crossrail project, the building of the Elizabeth Line, is now nearing completion. As part of the project archaeological work took place over 14 years, employing some 200 archaeologists and producing tens of thousands of artefacts. 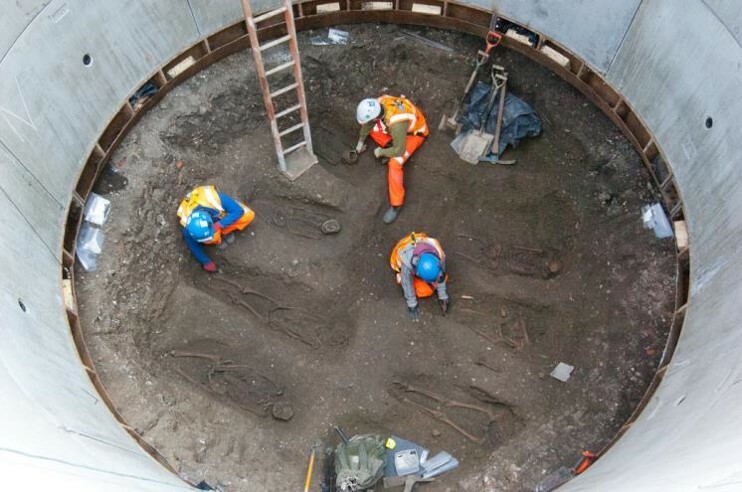 The talk will look at the results of the archaeological work which formed the core of an exhibition ‘Tunnel: the Archaeology of Crossrail’ held last year at Museum of London, Docklands and curated by Jackie Keily, Senior Curator for Prehistory and Roman at the Museum of London. The exhibition was a close collaboration between Crossrail, the archaeological units involved and the Museum and Jackie will explain how the exhibition was put together and the decision-making about what to display from such a huge project, as well as discussing the most significant discoveries and artefacts.